Writers have #writechat, now screenwriters have #scriptchat, Sundays at 8pm EST(5pm PST). Born via @yeah_write, @zacsanford, @KageyNYC and myself (@jeannevb), our goal is to bring seasoned and aspiring screenwriters together to learn, grow, and nurture our craft… and each other. At the designated time, simply search the hashtag #scriptchat and jump in. NOTE: Make sure you add that hashtag to your tweet or other followers won’t see your comments. We’ll post a different topic each chat. If you have suggestions or requests for topics, please @ me on Twitter or leave a comment below. Let’s join together and learn. Feel free to BYOB, after all, it’s a party. SCRIPTCHAT 1st EDITION - What is Your Biggest Hurdle to Finishing Your Script? Topic: What's the biggest hurdle you are facing to complete your script? What techniques have you tried to push past it? Thanks to @jeannevb for putting this in the correct order, you can now read TOP to BOTTOM. 8:01 pm jeannevb: #scriptchat TOPIC: What's the biggest hurdle ur facing to complete ur script? What techniques have you tried to push past it? 8:01 pm UncompletedWork: RT @jeannevb: #scriptchat TOPIC: What's the biggest hurdle ur facing to complete ur script? What techniques have you tried to push past it? 8:04 pm KageyNYC: RT @jeannevb: #scriptchat TOPIC: What's the biggest hurdle ur facing to complete ur script? What techniques have you tried to push past it? 8:06 pm indpnt1: #scriptchat biggest hurdle: marketability for myself. I frequently stop mid outline and think..."this has been done...next!" 8:09 pm covermyscript: #scriptchat my biggest hurdle to writing is napping. but napping is sooo integral to writing. if only could type whilst i slept. 8:10 pm KageyNYC: I agree, lots of second-guessing myself. RT @indpnt1: #scriptchat I frequently stop mid outline and think "this has been done...next!" 8:11 pm KageyNYC: AKA #ScriptChat :-P RT @UncompletedWork: It's very easy to get caught up in talking about the act of writing VS actually writing. 8:11 pm covermyscript: stop at end & then decide. you'll never no what u have until ur done. RT @indpnt1: #scriptchat stop mid outline "this has been done...next!" 8:15 pm manvsballoon: #scriptchat biggest hurdle is ADD. I have the thing in my head... just gotta get it organized on paper... never easy. 8:19 pm craigary: is lurking on #scriptchat but glad to see y'all. Keep writing! I have about 3 scripts I want to be working on but jobs keep getting in way. 8:23 pm brozogirl: #scriptchat I know my characters. If they don't abide by the rules ... they become punished. Death, falling off a stage, mind control. 8:26 pm brozogirl: @SissiePoohSOD Crazy? Eveyone I know thinks that I'm crazy. That's why the good friends @ #scriptchat understand. "~~"
8:28 pm craigary: #ScriptChat On subject of music while scriptwriting, I've actually been creating playlists that are faux soundtracks for that "movie." 8:29 pm russellnichols: Who started #scriptchat and is this a weekly thing at a certain time like #writechat? 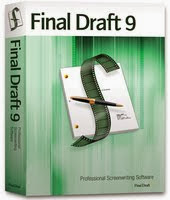 8:30 pm brozogirl: #scriptchat It's fun to go back to those files and mesh them together. Interesting to see what genre you come up with!!! 8:33 pm craigary: #ScriptChat Anyone have experience getting the rights to a book for a script? This is my next goal/dream but I know it'll be hard (+$). 8:35 pm brozogirl: @karenquah #scriptchat You have cool twitter friends. They can kick you, give you encouragement,even from other sides of the world!! 8:35 pm KageyNYC: Not to be corny but this comedy/drama issue, I now realize, is my biggest hurdle & ur all really helping! #Scriptchat better than 12-steps! 8:38 pm mfeige: @jeannevb I couldn't agree more! Have to print out to edit always #scriptchat do you ever act out your scripts? 8:39 pm brozogirl: @chipstreet Where are you?? You are missing #scriptchat. I need your knowledge !&? 8:41 pm c_reed: Discovering #scriptchat. First time. Plus, I'm apparently late. Hi, all. 8:44 pm yeah_write2: @c_reed Welcome, jump right in. #scriptchat 8:44 pm KageyNYC: I'm scrolling back through my #scriptchat column and picking up on a TON of great convos. 8:45 pm brozogirl: #scriptchat Make every scene have a beginning/middle/end. If you don't feel like punching the screen; then it's all good. 8:46 pm heatherayris: RT @jeannevb: #scriptchat TOPIC: What's the biggest hurdle ur facing to complete ur script? What techniques have you tried to push past it? 8:48 pm brozogirl: @zacsanford2 Distance is the key after first draft. you need time apart to be friends later, right? #scriptchat Only way 2 know characters. 8:59 pm KageyNYC: #scriptchat has been so fun I never refilled my cocktail. What the?! 9:04 pm inkgypsy: Twitter search is taking a long time... trying to find #scriptchat - I'll be right there! 9:04 pm zacsanford: I give props to @jeannevb for gaining followers during #scriptchat instead of losing them. that's why I'm writing from my other anme. 9:07 pm SissiePoohSOD: is in #scriptchat. I love being a writer! 9:07 pm brozogirl: #scriptchat Music that applies to the situation is always a way to set your mood to your scenes. Lighten up and then get serious. 9:13 pm craigary: Ciao to everyone in #scriptchat. Another thing I recommend scribes do is eat ;-) so that's what I'm going to do now. Keep writing! Fade out. 9:15 pm inkgypsy: @jeannevb @zacsanford2 @yeah_write2 Thank you! 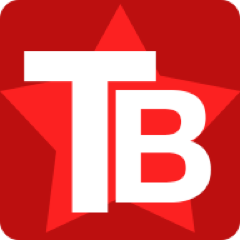 I just got Tweetdeck to find #scriptchat. What's the topic today? 9:26 pm dianewms: @DJordanKnight Best piece of screenwriting advice you've ever received? #scriptchat Follow your passion, & no genre is out of fashion. 9:35 pm JoQatana: Is #scriptchat over yet? it seems to have taken over my twitter. 9:46 pm zacsanford: Thanks everyone who made it out to our first #scriptchat session. Remember, every week at 5 p.m. PSt. Even @johnaugust stopped by! 9:53 pm hashtager: # That's what I'm sayin', saw hashtag RT @zacsanford2: @yeah_write2 wait, didnt I post #scriptchat &Johns name in the same tweet? #scrip..
10:19 pm yeah_write: Thank you to @zacsanford @jeannevb and @kageynyc for making #scriptchat happen. 10:22 pm yeah_write: Thank you @johnaugust for chiming into #scriptchat I hope you and Jim Beam have many happy years together. I'll write with Maker's Mark. 10:24 pm UncompletedWork: RT @yeah_write: Thank you @johnaugust for chiming into #scriptchat I hope you and Jim Beam have many happy years together. 10:34 pm zacsanford: @yeah_write @jeannevb @KageyNYC Has anyone posted about #scriptchat on the @IMDb writing message board? 10:35 pm yeah_write: Good call. RT @zacsanford: @yeah_write @jeannevb @KageyNYC Has anyone posted about #scriptchat on the @IMDb writing message board? 10:44 pm jolenejahnke: Think @johnaugust's cameo on #scriptchat was the highlight of my night. Thanks John! 10:45 pm rachlanger: Definitely amazing! RT @jolenejahnke: Think @johnaugust's cameo on #scriptchat was the highlight of my night. Thanks John! 10:45 pm Lead_Solo: How bout that! RT @jolenejahnke: Think @johnaugust's cameo on #scriptchat was the highlight of my night. Thanks John! 10:45 pm UncompletedWork: RT @jolenejahnke: Think @johnaugust's cameo on #scriptchat was the highlight of my night. Thanks John! 10:49 pm zacsanford: Thanks! 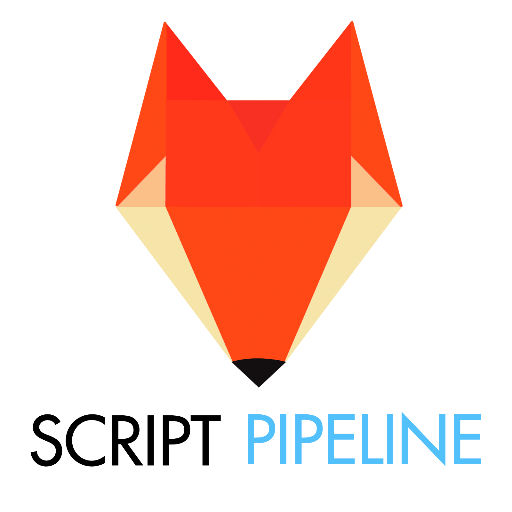 RT @rachlanger: #scriptchat transcript available at http://bit.ly/185tzs don't forget to start at the BOTTOM! Great fun. @jeannevb. 10:54 pm jmiewald: I totally missed #scriptchat but this is my late attempt to contribute. 11:00 pm jeanneveillette: @jmiewald here's the transcript http://scriptchat.blogspot.com/ #scriptchat 11:06 pm jeannevb: Being locked out of Twitter while trying to lead #scriptchat sucked d*ck... but we kept the party going!